Author Advaita Kala’s opinion — that ‘constant hitting out against Brahmins’ was akin to ‘what Nazis did to Jews’ — found echoes in Congress & across Twitter. New Delhi: The Brahmins of Twitter feel discriminated against — as much as the Jews were during the Nazi holocaust, it seems. 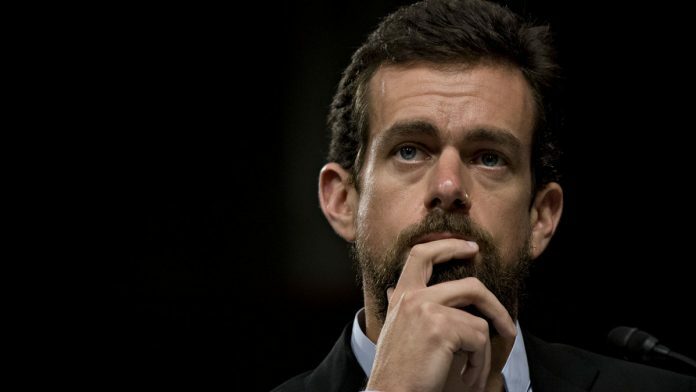 Ever since an image of Twitter CEO Jack Dorsey holding a placard that said ‘Smash Brahminical Patriarchy’ went viral on his own social media platform, a number of events were set in motion. First, a significant number of influential Right-wing ideologues cried foul, claiming that the slogan promoted hate speech, targeted a minority community, and “exposed” Dorsey’s true political allegiances. Soon after, Twitter India publicly distanced itself from the controversy, tweeting that the placard was a “private” gift from a Dalit participant to Dorsey at a Twitter roundtable with women journalists. Meanwhile Dorsey, the man at the centre of this PR debacle, does not even know this is happening. Buzzfeed reported that he left India for a Vipassana silent retreat in Myanmar last Thursday. Any contact with the outside world is impossible during the retreat — all electronic devices are confiscated on arrival. Most recently, however, critics of the placard and Dorsey’s implied endorsement of it have compared “this constant hitting out against Brahmins” to “what Nazis did to Jews”, as author Advaita Kala wrote in her opinion for ThePrint Tuesday. Kala condemned what she sees as a targeted campaign against a minority community, “who only make for 5 per cent of this country’s population”. This kind of violence, Kala stressed, was often depicted against Brahmins on Twitter. For context, 6 million Jews were murdered by the Nazi regime’s ‘elite’ political soldiers, the SS, on the direct command of Adolf Hitler. The invocation of Hitler’s atrocities as a benchmark for the perceived injustice of a particular community or era is also not uncommon. In June this year, union finance minister Arun Jaitley used the anniversary of Emergency to attack the Congress — he compared former PM Indira Gandhi to Hitler. “There were striking parallels between the way Indira suspended fundamental rights and persecuted political opponents and the manner in which Hitler installed himself as the sole ruler in Germany,” Jaitley wrote in a post on Facebook. On Wednesday, Manish Tewari, national spokesperson for the Congress, tweeted in agreement with Kala’s views. “Why blame @CreatorOfTwitt,” Tewari wrote, tagging a fake account of Dorsey. No brother. Brahmins and Jews have a lot in common. Both of them are successful, hardworking and close-knit groups. Why don't you work hard like them? You are the Nazi of India trying to relive the Jewish genocide by blaming Brahmins. However, this isn’t the first time that such a comparison has been made. A 2008 Outlook article by researcher Jakob de Roover at Ghent University, Belgium, echoed Tewari’s tweet almost perfectly. Calling Brahmins ‘The Indian Jews’, de Roover wrote that “To be against ‘Brahminism’ is part and parcel of the political correctness of progressive scholars in twenty-first-century India”. He went on to list what he called the “striking similarities between the stereotypes about Brahmins in India and those about Jews in the West.” Jews, like Brahmins, Roover argued, were “described as devious connivers, who would do anything for personal gain”. With inputs from Simrin Sirur. When you read and reread the title, it sounds extremely offensive. Seems like you are justifying holocaust.